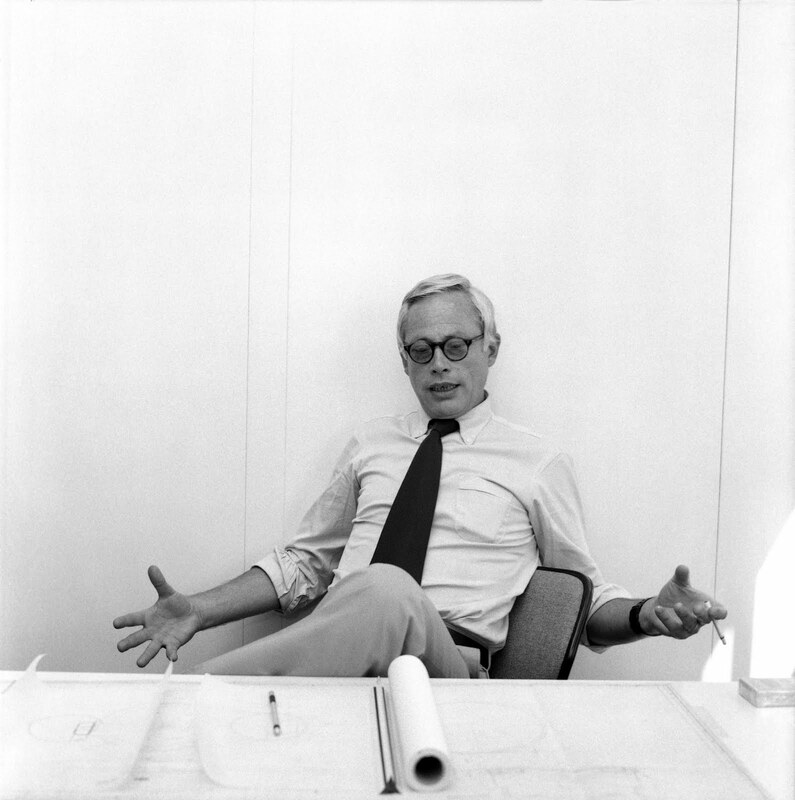 Dieter Rams (b. 1932) is a German industrial designer closely associated with the consumer products company Braun and the Functionalist school of industrial design. Rams studied architecture at the Werkkunstschule Wiesbaden as well as learning carpentry from 1943 to 1957. After working for the architect Otto Apel between 1953 and 1955 he joined the electronic devices manufacturer Braun where he became chief of design in 1961, a position he kept until 1995. Rams once explained his design approach in the phrase ‘Weniger, aber besser’ which freely translates as ‘Less, but better.’ Rams and his staff designed many memorable products for Braun including the famous SK-4 record player and the high-quality ‘D’-series (D45, D46) of 35 mm film slide projectors. He is also known for designing the 606 Universal Shelving System by Vitsœ in 1960. Many of his designs — coffee makers, calculators, radios, audio/visual equipment, consumer appliances and office products — have found a permanent home at many museums over the world, including MoMA in New York. He continues to be highly regarded in design circles and currently has a major retrospective of his work on tour around the world. Is innovative – The possibilities for innovation are not, by any means, exhausted. Technological development is always offering new opportunities for innovative design. But innovative design always develops in tandem with innovative technology, and can never be an end in itself. Makes a product useful – A product is bought to be used. It has to satisfy certain criteria, not only functional, but also psychological and aesthetic. Good design emphasizes the usefulness of a product whilst disregarding anything that could possibly detract from it. Is honest – It does not make a product more innovative, powerful or valuable than it really is. It does not attempt to manipulate the consumer with promises that cannot be kept. The appearance of the calculator application included in iOS mimics the appearance of the 1987 Braun ET 66 calculator designed by Rams and Dietrich Lubs. In Gary Hustwit’s 2009 documentary film ‘Objectified,’ Rams states that Apple Inc. is one of the few companies designing products according to his principles. I like that radio. Very Mad Men.